Former Iranian President Mahmoud Ahmadinejad’s relations with the regime have reached a new low since the Judiciary imprisoned his associates Hamid Baqaei and Esfandiar Rahim-Mashaei on embezzlement charges. Reacting to the Judiciary’s ruling, Ahmadinejad disclosed the charges against Baqaei in detail, which shed light on the operational mode of the Quds Force of the Islamic Revolution Guards Corps (IRGC QF). The ruling of the court is based on a complaint submitted by Hossein Taeb, IRGC Intelligence Organization chief, against Baqaei. Taeb claims that the IRGC paid an unclear amount in US dollar to Baqaei to bribe certain African leaders who were attending the Non-Aligned Movement Summit in Tehran in August 2012. On August 3, 2013, the IRGC gave further €3.7 million and $590,000 in cash to Baqaei “for use in African affairs,” but Baqaei allegedly pocketed the dollar amount himself. Comment: It is not implausible that Ahmadinejad and his associates are guilty of embezzlement, but half a million dollars is hardly the reason behind the latest mayhem in Tehran. After all, hundreds of millions, if not billions of dollars of public funds disappeared as Ahmadinejad’s friends and associates tried to evade the international sanctions regime and sell Iran’s oil in the black market. The regime is engaged in a political struggle against Ahmadinejad, in which the embezzlement charges can be used to silence him and his associates. On the other hand, Ahmadinejad is taking advantage of the popular sentiments against use of Iran’s money for unclear purposes abroad. In an open letter to Soleimani, Ahmadinejad demands to know where the Quds Force’ money came from, and what the purpose of using the money was. 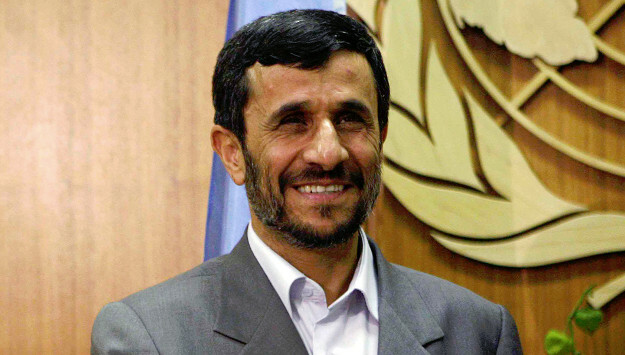 Ahmadinejad also threatens to publicize his correspondence with the Quds Force chief, a major escalation which is bound to further scandalize the Revolutionary Guards. In the 1980’s, the struggle for power between Grand Ayatollah Hossein-Ali Montazeri and his “export of the revolution” network on the one hand, and the triumvirate of then-parliamentary speaker Akbar Hashemi Rafsanjani, then-president Ali Khamenei and Ahmad Khomeini, son of the founder of the Islamic Republic, led to the Montazeri faction’s revealing of what became known as the Iran-Contra affair. At the time, the regime executed several of the Grand Ayatollah’s associates and put him under house arrest for the rest of his life. Likewise, the arrest of Ahmadinejad’s associates may herald another internal showdown. Polarization among the ruling elites of the Islamic Republic is perilous to the regime’s clandestine activities and networks abroad. In an attempt to protect itself, the weaker party will invariably threaten to reveal secrets of the state in an attempt to secure its survival. The stronger party in return, must take measure of the potential damage and decide how far it is willing to go to protect its secrets. Ahmadinejad’s political wrestling with the regime, illustrates the problem. To judge by the developments of the past few days, the regime is preparing for a serious confrontation.